The sample was made holding 3 strands of Softball together, to get a gauge of 4 stitches per inch. 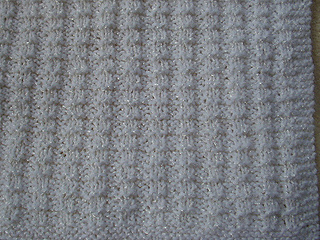 You can use worsted weight yarn, single stranded, instead, or any combo of yarns to get the gauge of 4 stitches per inch. I recommend cotton for this blanket.